Scientists in the US believe that the mutation occured to make it easier for vegetarians to absorb essential fatty acids from plants. But it has the knock-on effect of boosting the production of arachidonic acid, which is known to increase inflammatory disease and cancer. When coupled with a diet high in vegetable oils - such as sunflower oil - the mutated gene quickly turns fatty acids into dangerous arachidonic acid. The finding may help explain previous research which found vegetarian populations are nearly 40 per cent more likely to suffer colorectal cancer than meat eaters, a finding that has puzzled doctors because eating red meat is known to raise the risk. Researchers from Cornell University in the US compared hundreds of genomes from a primarily vegetarian population in Pune, India to traditional meat-eating people in Kansas and found there was a significant genetic difference. 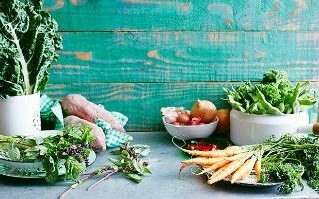 “Those whose ancestry derives from vegetarians are more likely to carry genetics that more rapidly metabolise plant fatty acids,” said Tom Brenna, Professor of Human Nutrition at Cornell. “In such individuals, vegetable oils will be converted to the more pro-inflammatory arachidonic acid, increasing the risk for chronic inflammation that is implicated in the development of heart disease, and exacerbates cancer.